Oarsome Softgrip rowing grips for Waterrower rowing machines - for inserting on the common Waterrower pull handle. You are looking for an alternative for common trianing gloves, because the pull grip of the Waterrower rowing machine is too hard or too slippy? 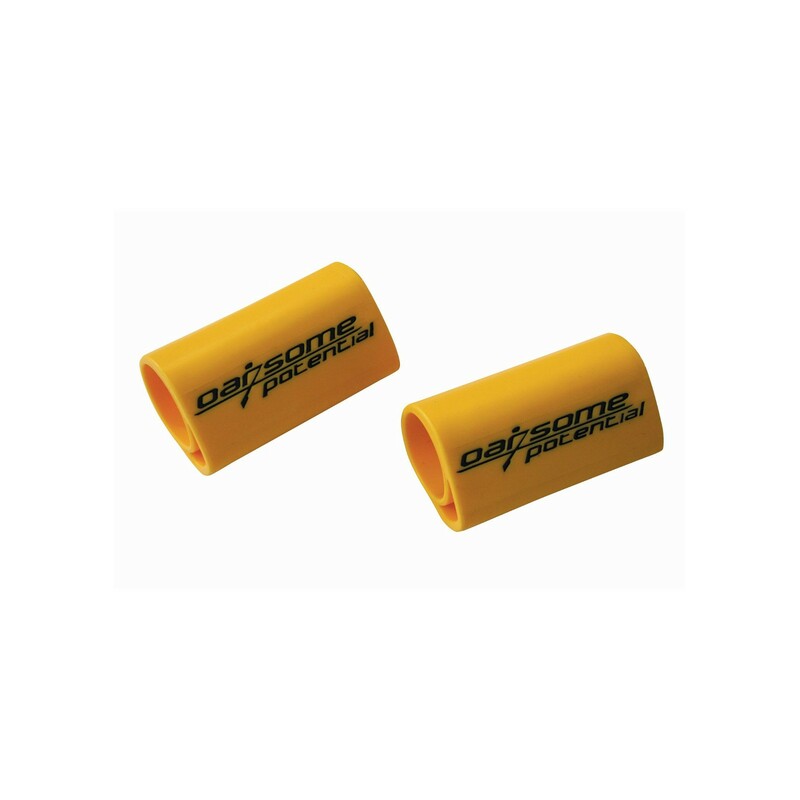 Then the Oarsome Softgrip rowing grips for Waterrower rowing machines are just the best accessory for your rowing training. Being made of soft synthetics, the Oarsome Softgrip rowing grips for Waterrower rowing machines offer a comfortable grip and protection from callosities on palms. In addition, the thicker grip supports the improvement of grip power and strengthening of forearm muscles. Habe mir die Griffe bestellt, da ich sehr empfindliche Hände habe. Die Griffe passen genau zum Gerät und liegen gut in der Hand, so dass das Rudern jetzt noch mehr Spaß macht. Eine Investition, die sich gelohnt hat.